If during a given period of time the expenditure of government exceeds than it revenue and the deficit is met by borrowing it is called deficit financing. 1. Government uses the cash balances of the past. 2. 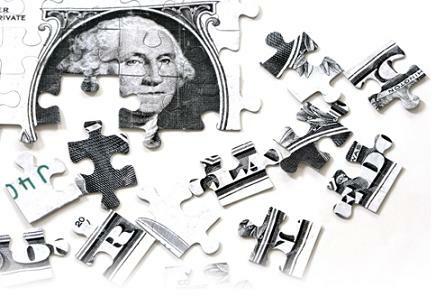 Government borrows from the central bank which issues the paper currency. So we can say that deficit financing ultimate result is the issuance certain of paper money. There is a difference in deficit financing and deficit budgeting. When current expenditure is excess than the current revenue it is called capital account, on the other hand when current capital receipts are not adequate to meet the development expenditure and this gap is financed by borrowing from the banking system is called deficit financing. When the Govt. is unable to fill the gap between the total receipts and total expenditure by imposing taxes then Govt. adopts the policy of deficit financing. By adopting this way Govt. can avoid the displeasure of the people. In the under developed countries normally rate of savings is 10% to 14% of the GNP which is very low. As such the Govt. of these countries is compelled to use this policy as an instruments for economic development. In the less developed countries population growth is very high. To met the needs of the people and to speed up the economic development Govt. is using the deficit financing policy. Savings are mobilized by the financing institutions. But in the underdeveloped countries there is a shortage of these institutions particularly in rural areas. So resources are not mobilized to the desired extent and Govt. is helpless to use this policy. Due to delay ans suspension of foreign aid Govt. has to adopt the deficit financing policy to break the vicious circle of poverty. 1. High level of employment is ensured by the policy of deficit financing. 2. Utilized and underutilized resources can be build up with the help of this policy. 3. Additional resources can be mobilized for the economic development by using this policy. 4. Social and economic over heads can be build up by adopting the policy of deficit financing. When the government expenditure financed by the created money, it leads to inflation in the country. The classical economists say that in a capitalistic economy there is always a tendency for the economy to operate at the level of full employment. When there is full employment and we use this policy the inflation rate will rise. Today this policy is commonly used in the all countries. 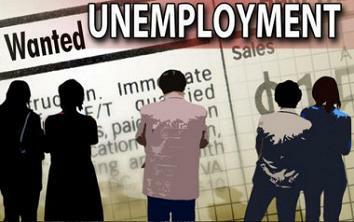 The poor countries are using this policy to utilize their unemployed resources. These countries are using the deficit financing for the construction of roads, railways, canals and factories. There is a time gap between the pumping of money into the hands of the people and the establishment of scheme of development. If the extra demand is increased due to the created money, is matched by the extra supply of goods then prices will not rise. If the time period between input and output is long the prices will rise for the particular time period and economy will face the inflationary pressure. On the other hand if the time is shorter between the consumption and completion of development schemes, then inflationary pressure will be slow. One thing should be noted that the relation between prices and created money may be different. A 100% rise in the money supply may create only 10% rise in the price of the commodity. The rising of prices due to the deficit financing depends upon various factors such as time period, consumption, savings and habits of the people. For example if people hold or save all the created money then there will be no inflationary pressure. A country should frame its import and export policy in such a manner that the supply of an essential goods may not fall. The rise in price due to deficit financing can be controlled by proper allocation of resources. Developing countries should prepare effective plans and resources of the country may not be wasted in unproductive projects. The inflationary pressure can be controlled, if a government increases the rate of taxes on luxuries and introduces the compulsory saving schemes. An effective monitory policy can be adopted to reduce the inflationary pressure. Most of developing countries are also using these weapons against the inflationary pressure to reduce the inflation. Inflationary pressure can be controlled by providing the basic goods to the consumer at fixed rates through the utility stores. Meaning :- Capital accumulation or capital formation means to increase the real assets of the country. In other words to increase the man made capital goods like machinery and buildings. In the less developing countries economy depends upon capital accumulation. If the rate of investment increases, it increases the national income. On the other hand if investment falls national income. On the other hand if investment falls national income also falls. To break the vicious circle of poverty we will have t increase the investment by increasing the saving s in the country. We should increase the rate of savings and then these savings should be utilized for investment.The marginal efficiency of capital should be higher than the rate of interest then we can increase the rate of investment in the country. By increasing the rate of investment we can increase the rate of employment, and rate of production in the country, the pr capita income will rise and it will improve the standard of living. So better utilization of resources and prosperity can prevail by increasing the rate of investment in the country. In the less developed countries rate of saving is very low due to low per capita income. There are two types of savings, household savings and business sector savings. House hold savings are voluntary savings which are used for further investment. In the under developed countries rate of savings is 10% to 14% of national income. The government imposes the taxes on the public and this revenue is used for investment. These taxes are called compulsory savings. Sometimes government borrows the money from the people and uses it for investment. It is an important source of capital formation. The poor countries commonly use this source to increase the rate of investment in the country. By using this policy unemployed resourced are utilized and savings are generated for capital formation. The developing countries also borrow from outside the country to increase the capital formation in the country. It can be obtained from a number of sources. Sometimes Govt. borrows from outside the country and sometimes from inside the country. Govt. also borrows from the international financial institutions like IMF, IBRD and UN agencies. The government of poor countries should increase the branches of banks in the rural areas. So villagers may be able to deposit their money in banks, instead of keeping it at home. Private financial institutions based on sound footing should be allowed to play their role. To encourage the savings government should introduce various national savings schemes to attract the people. Higher rate of interest also attracts the people. When saving rate will rise, it will enhance the rate of investment. The government should increase the investment opportunities in the country and there should be no fear of nationalization. It will increase the rate of investment. Suitable environment is also compulsory for capital formation. The government may increase the taxes and this revenue can be utilized for investment. But due to the raise in taxes, there should be no reduction in investment. The government should restrict the imports of consumption goods. So the rate of consumption will fall and rise of saving will raise. It will increase the investment in their country. By increasing the exported, government can earn foreign exchange which can be used on the import of capital goods. The government should reduce unproductive expenditure and increase the rate of investment, The expenditure on administration and defence can be reduced to promote investment. It is very useful for increasing the rate of capital formation. But it is curse when it is misused. In most of developing countries are face the burden of debt so that is the major reason of low investment. In underdeveloped countries manpower is surplus. If we use it for productive purpose, it can increase the rate of investment. Govt. can introduce the various social welfare schemes and can increase the rate of employment. The government should invite the foreigners to increase the rate of capital formation. Today the most of developing countries also offered various incentives to the foreigners to increase the rate of investment in their country. In the advanced countries rate of unemployment is low while in the less developing countries rate of unemployment is very high. In the less developing countries disguised unemployment is also found. The less developing countries are facing the problem of capital shortage. While for the development of any country there is need of a huge amount of capital. When new projects buildings and factories are constructed a large number of people are engaged in these projects. So lack of capital is the major cause of unemployment. In the developing countries, the rate of population growth is 3% per annum while the natural resources are limited and they can not meet the increasing demand of job. There are many industries which produce the goods seasonally like ice factory. These work only few months and remain close in the remaining period. So a large number of people who are engaged with these industries becomes unemployed. Due to inventions, new goods replacing the old commodities. So the people who are engaged with old industries are unemployed. According to Keynes when aggregate supply increases than the aggregate demand the unemployment prevails,. So he stresses that the rate of consumption may not fall. In the less developing countries, majority of the people is uneducated and they have no any skill about any particular job. So they cannot get the job. Under developed countries depends upon the agriculture sector and production of agriculture depends upon nature. Second problem is this that there is subdivision of land.Farmers have very small holdings neither they can sell it nor they can cultivate it. Government should establish the labour intensive industries to increase the rate of employment. Government should provide the liberal concessions and tax holiday to the private investors, to increase the rate of employment. In the rural areas small scene industry should be established to remove the disguise unemployment. Technical and commercial centers should be established to provide training and skill to the public. It will be very useful in curtailing the unemployment. There should be an effective check on the population growth. Family planning programme should be introduced and population should be reduced according the size of natural resources. Government should increase the rate of investment by establishing the various industries to increase the rate of employment. The offices should be established to provide the proper information about the employment to the public. Monetary and fiscal policy should framed in such a manner that there should be maximum chances of employment to public.